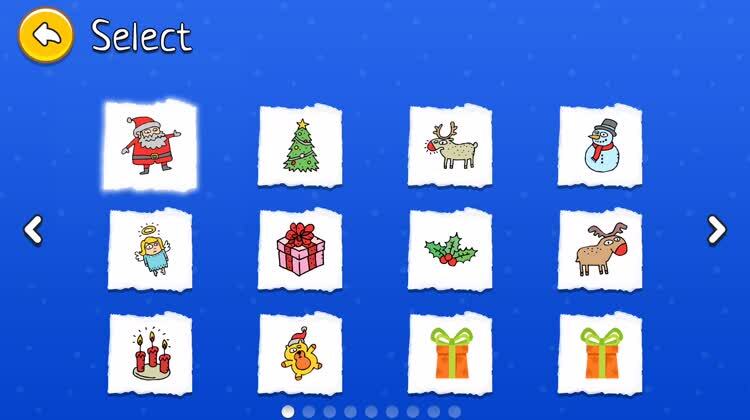 Coloring Book - Winter is a winter-themed digital coloring book for your child. Choose a picture to color. With a large selection of winter-related pictures, you will have no problem picking a neat one to get started. Have fun coloring Santa Claus, a snowman, a snowy house, or even a candy cane. You can even select a cute angel or adorable reindeer. Winter can be a great season with all of the snow and cozy activities, so it's no wonder kids like it. With Coloring Book - Winter, kids can reminisce about the season by coloring in winter-themed drawings with bright and vivid colors. It's a great way to keep your child entertained and make them feel a little closer to home if their favorite season is the winter time. Winter can be a great season for cozy activities, and coloring them in will keep your child occupied for quite some time. XMAS is a funny drawing and coloring app for all ages! ••• START DRAWING NOW - WITH XMAS! This is the free version of Coloring Your Xmas MAX. Some pictures are locked. You can easily unlock all of the features via an in-app purchase.